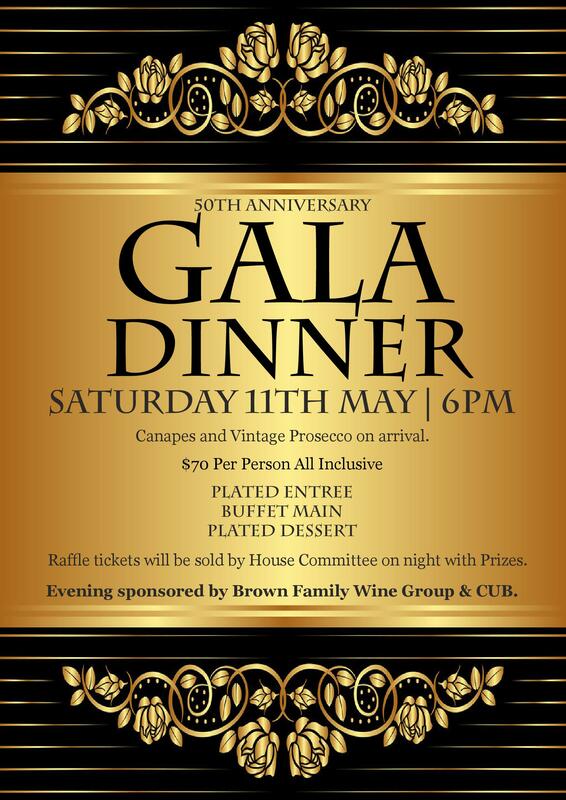 The Melville Glades 50th Anniversary Gala Dinner is coming up on Saturday 11th May and the finishing touches have now been decided by our new House Committee. The evening will be $70 per person which is all inclusive. Canapes and Vintage Prosecco will be provided on arrival followed by a 3 Course Meal which will include a Plated Entree, Buffet Main and Plated Dessert. 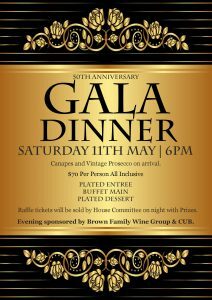 Brown Family Wine Group will be providing the wine for the evening and CUB will be providing a limited number of 4 Pines Stubbies. Raffle tickets will be sold by the House Committee on the night with Prizes. © 2013 Melville Glades Golf Club. All rights reserved.